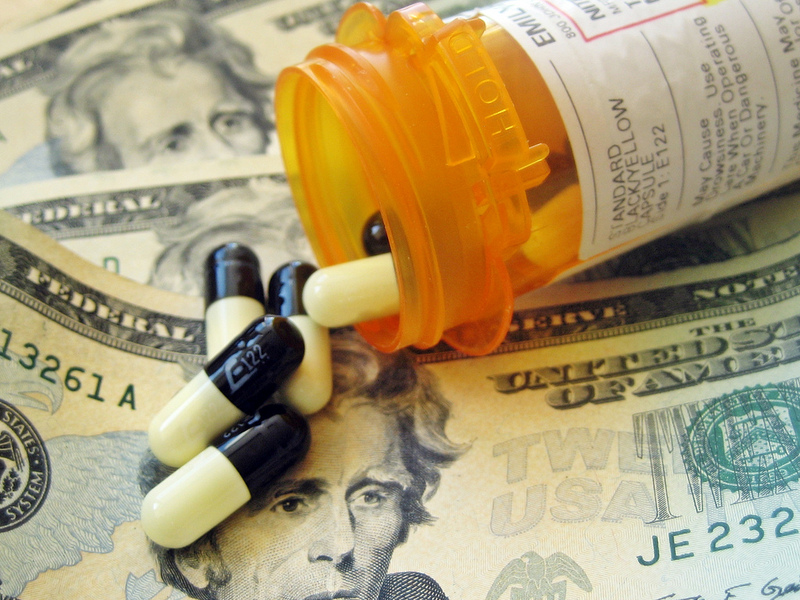 Pharmaceutical firms donate an enormous amount of their products (and some cash too). But it doesn’t seem to be helping their reputation. We ask Pfizer’s generosity chief why the company gives so much, who it really helps, and whether all this philanthropy is just corporate whitewashing. Rand PAUL: Big Pharma manipulates the system to keep prices high. Elizabeth WARREN: And a lot of that money that is spent lobbying Congress is to keep drug prices high. President TRUMP: The drug companies, frankly, are getting away with murder. Bernie SANDERS: I have been fighting the greed of the prescription drug industry for decades. And as far as I can tell, the pharmaceutical industry always wins. John LIST: You gave 90 percent of G250 companies — this is global Fortune 250 companies — 90 percent of them are now publishing annual C.S.R. reports. C.S.R. can take many forms in a company: volunteerism, environmentalism, and, of course, charitable contributions. LIST: Every dollar we earn, we give a nickel to charity. List also told us that promoting C.S.R. is a great sorting mechanism for companies: it attracts more employees who are willing to work hard for less money. But List also found that C.S.R. can lead to what’s called “moral licensing”: the idea that doing good can give you license to be bad. For employees at C.S.R. firms, that can take the form of cheating and stealing. Another group of economists looked into the politics of C.S.R. They found that a lot of firms use corporate philanthropy as a form of “tax-exempt lobbying” — that is, firms increase their giving in congressional districts when representatives from those districts get seats on committees related to the firms’ business. So: a little skepticism about the true intentions of corporate social responsibility is probably in order? On the other hand, wouldn’t it be nice to hear directly from someone who runs C.S.R. at one of these firms? Maybe someone at the most charitable firm in America? ROAN: My name is Caroline Roan, and I wear two hats for Pfizer. One is vice president of corporate responsibility for the company, and the other is president of the Pfizer Foundation, which is a separate legal entity. Pfizer, based in New York City, is a huge company, with more than 90,000 employees around the world. It sells its products in 125 countries. There are a lot of over-the-counter brands you’re probably familiar with — like Advil, ChapStick, Centrum, Dimetapp, Preparation H, and Robitussin. But Pfizer’s big money-maker is prescription drugs. ROAN: You’ve probably heard of Lipitor. Diflucan, which is an antifungal. Prevnar 13, which is a pneumococcal vaccine. Lyrica, which is for pain. And of course we also contributed Viagra, which was for a very serious disease. The company was founded in 1849 by two German immigrants. It considers corporate social responsibility, or C.S.R., to be part of its D.N.A. ROAN: And really, the first significant contribution was unlocking the ability to mass-produce penicillin. And it was a wonder drug, but nobody had sorted out the specifics of how you take it to mass production. And Pfizer did that. And at the time of World War II, they actually ran the plant 24 hours a day and partnered with the United States Government to ensure that we had enough penicillin that our troops could take it ashore on D-Day. Pfizer created its foundation in 1953 and their department of corporate responsibility in 2001. That’s the same year Roan joined the company; today, she’s in charge of both C.S.R. and the foundation. Pfizer has a wide range of helping initiatives, from medicine giveaways to R&D addressing diseases common in low-income populations to a project called Global Health Fellows. DUBNER: Caroline, did you have a stint in this Peace Corps-type project? ROAN: I haven’t. But I feel like I do, because I’ve been to Kakuma, I’ve been in Kenya; I’ve been to Lalibela, in Ethiopia. I have gotten to see the little medicine that we produce all the way in Puerto Rico make it to the most remote locations. It’s profound. And it restores your soul on a fundamental level. DUBNER: So let me ask you this: Why is there a department of corporate responsibility that needs a vice president like yourself? Isn’t everyone in a corporation responsible somehow? ROAN: I think, Stephen, that’s a great point. We think of corporate responsibility very simply as the how of how we do business. And it’s very much grounded in the mission of the company. That said, in order for us to achieve that mission of discovering and developing these great medicines and vaccines, we have to ensure that we’re doing our part to get those medicines and vaccines to the patients who need them. DUBNER: The economist Milton Friedman famously argued that corporate social responsibility is a — as he called it — a “fundamentally subversive doctrine,” and that quote, “There is one and only one responsibility of business, to use its resources and engage in activities designed to increase its profits.” So, what are the inherent conflicts between profit-seeking and corporate social responsibility? ROAN: Well, I’m very familiar with the business of business is business. But we don’t make lipstick. We make medicines and vaccines. And so, I do think, Stephen, you’ll see a vast difference in how industries approach this work. But for Pfizer, in order for us to discover and develop those medicines and vaccines, they have to get to the people that need them. We have to have functioning healthcare systems. And we’ve got to be more creative and address those needs in a very meaningful way. I mean, we’re living in a time of vast income inequality around the world. We know that the poorest of the poor no longer live in the most remote villages. They don’t live in low-income countries — they actually live in middle-income countries, they live in urban centers, and governments are failing to provide a very basic set of services. And so, what does that mean for a big multinational company that’s in the business of health? We’ve got to adjust and do our part to prove to those patients and those communities that we will help them get access to quality healthcare, medicines, and vaccines. And that’s what we do. DUBNER: So give me an example of where you’re having huge success with that — whether it’s life expectancy, alleviation of suffering, prevention of death, etc. ROAN: So, a perfect example of that is our work in addressing trachoma. It’s the number-one cause of preventable blindness. And what happens is that you get a repeated infection and over time your eyelashes turn inward. It’s quite painful, and you go blind. And interestingly, people who came into Ellis Island were checked for trachoma. You might remember seeing pictures of the eyelids being turned. DUBNER: There was also this terrible story of unintended consequences, where they used this tool to check people for it, without realizing that it was a bacterial cause, and that they were actually spreading it as much as they were alleviating it. ROAN: Exactly. And it’s a disease of poverty. It’s a disease that affects the folks that are living literally at the end of the road. Now, Pfizer discovered that Zithromax, our antibiotic, was effective in treating the active infection that causes this disease. Well, we doubled down on our efforts to eliminate it. We have our eyes on the prize of actually eliminating this disease by the year 2020. So, in order to do that, we had to conduct the largest global public-health mapping project that has ever occurred. And when we did that, we discovered these pockets of trachoma. And we realized in order to achieve the global elimination goals with the World Health Organization, we were going to have to increase the donation of Zithromax. We were also going to have to support a comprehensive public health strategy. And we are literally changing, one community at a time, the ability for young children and moms to avoid this infection and to avoid blindness. It’s one of the most powerful programs I’ve ever seen in the field, and one that I think I’m most proud about. DUBNER: And I assume you’re giving all that medicine away. Correct? ROAN: Yes. In fact, Stephen, interestingly, half of the production of Pfizer’s commercial supply of Zithromax — more than half — is donated to support this program. DUBNER: Let me backup for just a second, because the industry that you’re in is an inherently interesting one. I don’t know about inherently controversial, but it is controversial. So your sector is, we know, not so beloved by the general public, which is interesting, because you make medicine that helps people. But it is, according to the latest data I’ve seen, the least-popular business sector in America. Worse than the legal field, worse than oil and gas. So, why do you think such a firm and the industry is not better regarded? ROAN: I will confess, we don’t have a lot of wind at our back. Those statistics are right. And it’s confounding to us. What I wish the public would understand is Pfizer’s literally deep and abiding commitment to patients. We put patients first in everything that we do. And we believe if we can deliver for patients, we’ll deliver for shareholders and we’ll deliver for society. And unfortunately, Stephen, we’re in a world where bad actors and headlines grab people and the complex story of drug development is hard to give you in a sound bite or in a tweet. And we do our best to tell that story of commitment to patients and commitment to science. But it is hard to break through. DUBNER: Pfizer is hugely successful. Annual revenues in the neighborhood of $54, $55 billion, with profits around $21 or $22 billion. It’s smart. It’s a strategic firm. But often that strategy isn’t what most people would think of as quite kosher. So let me give you a couple examples, then ask you how C.S.R. fits into that. So, a couple of years ago, Pfizer was planning on an inversion merger with an Irish firm but that was spiked by the Treasury Department. It was considered a method of avoiding taxes by merging with the foreign company. Pfizer has also paid the second-largest settlement claim ever by a pharmaceutical company, more than $2 billion, for violating the False Claims Act with infractions that included kickbacks on several drugs. When we — the non-pharma community — learn about that as a company, and we also know how much pharmaceutical firms spend on lobbying and so on, why wouldn’t we be wise to be skeptical of something like corporate social responsibility as practiced by Pfizer? Why wouldn’t we be wise to see it as little more than a form of P.R. or some kind of white-washing? ROAN: There is a fair amount of skepticism out there for big business overall. For Pfizer, the reason I believe that people should take another look is that we have four clearly defined strategic priorities, and I think it has set the path for us in terms of responsible business growth. And the first is around our science. We are working every single day to get the necessary resources to innovate to create the next generation of important medicines. Second, we are looking at the allocation of the resources for the long-term results for our shareholders. We would be remiss if we didn’t do that. The third and fourth imperative are critically important. We’re trying to create a culture where we work as a team, where we win the right way, where we are compliant and consistently delivering the business growth that we want to, in the right way. And the fourth imperative is being a responsible corporate citizen. So every single person in this company knows that that’s a part of their day job. DUBNER: Part of your corporate-responsibility initiative — well, there are many parts. Among the big ones that I’ve read about are what you called “building healthcare capacity,” which means improving health systems in low- and middle-income countries and improving access to healthcare for the most underserved communities. Also part of the portfolio is “expanding access to medicine.” Now, let me be a total devil’s advocate, or maybe just a devil for a minute. How much is this about building healthcare infrastructure in order to create a robust long-term delivery system for Pfizer products? ROAN: If we don’t have a functioning healthcare system, you’re right, we can’t deliver our products and our vaccines. But I see that as net-net, a benefit both for the company and for society. But as I said, I think that’s a bit different than what you might see in a regular commodity, like lipstick or another type of product, where you could maybe argue more on the side of saying, “Well, that’s just because they want to build a market.” It is in our best interest to have a functioning healthcare system because patients aren’t going to be able to get the support they need. And we know that if patients are healthy and communities are healthy, they’re more likely to have economic success. DUBNER: Let’s talk about this massive chunk of value that Pfizer gives away as part of its corporate-responsibility initiative. In the most recent year for which you’ve provided the numbers, it’s about $5 billion in total giving, with revenues of about $52 billion. So roughly 10 percent of revenues are given away. Now, roughly $4.7 billion dollars of that is product donations. And then the cash represents — if I’m calculating correctly — about 0.004 percent. So if I wanted to be churlish, I would say, “Well okay, Pfizer is giving away not very much money, but giving away a lot of in-kind donation in the form of medicine.” Let’s start with how the value is attached to that medicine that’s given away — what is the actual valuation process to attach a number to the drugs that are given away? ROAN: So I would say the following: that is complicated, and I am not intimately engaged in the valuation process. Look, one of the reasons we give away a lot of product is our product is our most valuable asset, right? When we think about where we can make the biggest difference, what does Pfizer have that’s unique? Well, we have the medicines and the vaccines that we’ve discovered and developed. And people need them. That’s why at any given point, if you were to ask our partners what they’re asking us for, they’re starting with our medicines and our vaccines, right? And in the U.S., for more than 30 years, we’ve had a program in place called Pfizer RxPathways, and that’s designed to help people who are falling through the cracks get access to medicines here in the United States. We offer more than 70 products to patients free or deeply discounted. Last year we helped 250,000 people get about 1.7 million prescriptions. ROAN: Well, it’s a great point, and increasingly, we are moving in the direction of what we’re calling creative commercial strategies. So we have tiered pricing globally, which means that countries pay based on an ability to afford the medication. But also, for the poorest of the poor, which is where I focus our efforts, we are looking at strategies that are truly built on public-private partnerships that provide our products at an affordable cost to organizations who are working to serve this population. A perfect example is our work with Gavi, the Vaccine Alliance. The Gates Foundation really started this effort and deserves credit for it. Gavi makes a whole host of vaccines across companies available to 73 of the poorest countries. And we provide our pneumococcal vaccine, which is one of our most innovative products, at less than $3 a dose. And countries can purchase through the Gavi Alliance, if they so choose to, and I believe it’s a more sustainable approach. DUBNER: And what would that $3 dose cost in the U.S.? ROAN: I actually don’t know what it would cost in the U.S.
We looked up the price of that pneumococcal vaccine, Prevnar 13, in the U.S. The C.D.C. pays Pfizer about $130 per dose; if you buy it privately, it costs about $180. Pricing, and other economic maneuvers, are at the root of the pharmaceutical industry’s poor reputation. For one, the industry often practices what’s called “value-based pricing.” This means setting a price based on what an ailment would cost society if it weren’t treated, or treated by a less-effective medicine. That, and exclusive patent rights, explains how a three-month course of a hepatitis C treatment made by Gilead Sciences can cost more than $90,000. There are plenty of other complaints. Senator Paul argues that American drug companies use their lobbying billions to prevent the importation of cheaper drugs from abroad. PAUL: That’s B.S. and the American people think it’s B.S. that you can’t buy drugs from Europe, or from Canada, or Mexico, or other places. Hillary CLINTON: Pharmaceuticals have gotten pretty smart. They pay companies that are working on competitive drugs not to bring them to market — so they don’t have the competition. It’s called for “pay for delay.” So, there’s just a lot of games going on. TRUMP: The other thing we need to do is create new bidding procedures for the drug industry because they’re getting away with murder. Pharma. Pharma has a lot of lobbies. A lot of lobbyists and a lot of power. And there’s very little bidding on drugs. Another reason the pharmaceutical industry is so unpopular these days: the opioid crisis. Pfizer is not one of the companies that makes the opioids most commonly abused, and is not among the companies being charged with misrepresenting the drugs’ benefits and concealing their risks. But Pfizer is a big contributor to the drug industry’s lobbying arm, which fought hard in the 1990’s to allow mass prescription of pain-killers. Which means that Pfizer is trying to be part of the solution. Given the pharmaceutical industry’s deep unpopularity — and their deep profitability — you can see why firms like Pfizer might be so interested in giving away so much of their medicine. That’s what we’re talking about with Caroline Roan, who runs the Pfizer Foundation as well as Pfizer’s corporate social responsibility unit. DUBNER: I know that there’s been some — you might call it enlightened criticism — against the notion of giving away medicine. So, one primary argument comes from Doctors Without Borders. They basically said, “There’s no such thing as a free vaccine.” Free is not always better. Sometimes there are strings attached. They’ve argued that donations can undermine long-term efforts to increase access to affordable vaccines and medicines, that it might destroy the incentive for other firms to produce or to distribute, and that donations are sometimes used as a way to make others pay up, or that donations might come in when you need them, but it might not be long-lasting. We all know that the world is full of good intentions that lead to outcomes that are less good than we’d like. And I’m curious how you’d respond to those objections to this practice of giving away so much medicine. ROAN: Well it’s actually a conversation that’s front and center in the global development community, about the role of cash donations, product donations, how we get countries to be self-sufficient. And for Doctors Without Borders specifically, I am very familiar with their concerns. And we’ve had an open-door conversation with them, and deeply respect, honestly, their work. And some people do believe that donations are not the answer for how they want to deliver healthcare. And so we’ve taken steps to address that through these more creative commercial partnerships. A perfect example is our work with Gavi, the Vaccine Alliance. But another perfect example is one that we announced last year, providing oncology medicines in Africa. So we looked at the concept of, should we donate these medicines? And the conclusion — in conversations with stakeholders and governments — was no. They wanted to create a partnership that would allow them to purchase the product. And so in that case, we’re offering — together with the American Cancer Society and the Clinton Health Access Initiative — we’re expanding access to 11 essential cancer treatment medications that include chemotherapies in mostly East Africa — Ethiopia, Nigeria, Kenya, Uganda, Rwanda, and Tanzania. On the refugee crisis specifically, which was what some of the dialogue with Doctors Without Borders was about, I did want to acknowledge that we did offer to donate our pneumococcal vaccine. And we have donated it to a number of organizations who work in active refugee settings. But we also, hearing that feedback, announced a new humanitarian tier, so that the organizations that are conducting that work in refugee settings are allowed to come to Pfizer and purchase our pneumococcal vaccine for again, the lowest global price, which is under $3 a dose. But, for Pfizer, we really debated this. We didn’t feel it was appropriate, honestly, to make money in a refugee setting. And we decided for the first year of this program to donate the proceeds back to the organizations who are working on the ground. I also asked Roan to address what Pfizer is doing about the opioid epidemic, and how that fits into the firm’s corporate-responsibility angle. ROAN: So, we always start with our science, so we’re accelerating our efforts to bring non-addictive alternative medicines to patients. We’re doing that in partnership with regulatory authorities. We’re also working at the community level through primary prevention and education. But I think when we go back to where can Pfizer make the most distinctive difference, in this case, we happen to make Naloxone. And you may know that Naloxone will reverse an opioid overdose. And we have decided to make that available, both through donation, and, again, back to the approach of meeting the needs of multiple stakeholders through deeply discounted pricing. So we’ve committed to more than a million doses over four years, with our partners, to make those available free of charge. And then on the commercial side, we’ve discounted that price significantly for first responders, so that no one has to go without Naloxone specifically. What’s interesting for me in this context, Stephen, is I used to work with heroin addicts when I was at Yale. And so I have a deep appreciation for the pathway of addiction and the challenges that communities face. And so, we are really saying that we’re ready to be partners in trying to take this on, because we’ve got to turn it around. I mean, it’s a massive problem and we know that it destroys families. But we think we have a productive role to play in addressing it. DUBNER: Let me ask you about some interesting research on corporate social responsibility that’s done by the economist John List and a few others. They’ve looked at whether corporate social responsibility is necessarily at odds with profit maximizing and found that, in fact, no, it really can help a company’s bottom line, in a number of ways, including tax benefits. ROAN: Well, I might say that in my exercise routine I live moral licensing, when I go to the gym and then I eat my bagel, which I did this morning. But no, the short answer is absolutely not. And I can appreciate that deep level of skepticism that we’ve talked about. But, really, I chose very carefully when I chose the company and the career that I wanted. And I did it because I think you find something really unique in the people that come to work at Pfizer. So the short answer is no. It’s hard work every single day to try to get the innovation to the patients. And I have never seen any evidence of that in the work that we’ve done here. DUBNER: It must be frustrating to go through life working for a firm where you really feel you’re doing some version of God’s work, and yet the rest of the world thinks, “Oh man, those big nasty, greedy, dishonest pharmaceutical people.” Do you get frustrated? ROAN: No, I really don’t. And you know why? Because I know what I do every day and I stand on the commitment that I have so deeply and personally to the patients that we serve, and the team that I support. And so, look: does it make me sad on some level that people want to be skeptical and we don’t have the wind at our back, and people question our motives? Sure. I don’t turn that into frustration. I really turn that into how to help more patients get what they need. And when you deliver that medicine, that Zithromax, in the field, or I go meet with community members and they welcome you and they bless you and they pray for you in their language, that’s really powerful. And it gets me through the days when we see the tough headlines. Freakonomics Radio is produced by WNYC Studios and Dubner Productions. This episode was produced by Greg Rosalsky. Our staff also includes Alison Hockenberry, Merritt Jacob, Stephanie Tam, Max Miller, Harry Huggins, and Andy Meisenheimer; we had help this week from Louis Mitchell. The music you hear throughout the episode was composed by Luis Guerra. You can subscribe to Freakonomics Radio on Apple Podcasts, Stitcher, or wherever you get your podcasts. John List, economist at the University of Chicago. Caroline Roan, president of the Pfizer Foundation and Vice President of Corporate Responsibility at Pfizer. The Value of Everything: Making and Taking in the Global Economy, by Mariana Mazzucato (2018).